If you want to write animation—or if you just want to produce or direct it—it’s important to know the difference between live action and animation writing. Animation stories are developed pretty much the same as in live action. You come up with a concept, sometimes called a premise, describing the basic beginning, middle and end of the story. The next stage is an outline, laying out each scene, including action and gags. The final step is the script, with full scene description and dialogue. The script form in animation is virtually identical to live action. A coyote chases a bird over the cliff and falls into the canyon. That’s how you might describe a scene in a live-action script. The director takes it from there. Now what do you see when I write this? 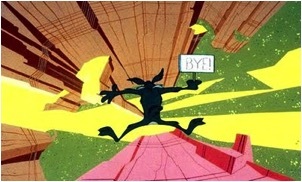 The coyote scrambles after the roadrunner, his legs a blur, running right off the end of a cliff. As the roadrunner sticks his tongue out and beeps at him, the coyote stops over thin air. He looks down at the canyon bottom a mile below, starting to sweat. Then he looks into camera with a loud “gulp!” and drops like a rock, his neck stretching like a rubber band as his head tries to catch up. He diminishes into the distance with a bomb whistle, finally hitting the canyon bottom with a dull thud and distant puff of smoke. Get the picture? It’s eight times as many words, but it gives you a complete visual image with little need for interpretation. By its very nature, animation requires more description to effectively communicate the visual. So the key difference between an animated and live-action script is that an animation script usually contains more detailed scene description. This increase in description creates another difference between live and animation writing. In live action the general rule is one page per minute. This also holds true in most animated feature writing. But one page of a TV animation script often translates to about 40 seconds of screen time. In live action the director interprets the written word, and thus expands on it. But in animation, the writing is generally more literally interpreted, and although better storyboard artists often punch up gags and add some bits here and there, most boarders just translate the written word to visual images. What this means is that if an animation writer doesn’t describe it—and describe it precisely—the chances are it won’t appear on the screen, at least not the way he imagined it. This is because unlike in live action, in most TV animation there isn’t one director who follows each episode all the way from script to screen. Yes, there’s an animation director, but he or she is often responsible for many or all of the episodes, and deals more with visual continuity and less with story continuity. And, as noted, there’s the storyboard artist. But a writer can never be certain that a board person will see visuals or interpret the action or comedic timing correctly. So the TV animation writer must describe the action as precisely as necessary to get whatever’s in his head onto the screen. This is especially necessary when scripts are sent overseas to be animated, because if the description is imprecise, the translation to other languages and cultures leaves a lot of room for misinterpretation. Some time ago I finished a pilot script for an animation series that was to be produced in China. Although he was preaching to the choir, the producer made a point of telling me that the description needed to be precise enough that the gags would survive translation. So to a great extent, the television animation writer functions as a director. Moral of the story: If you want to be an Academy Award-winning writer-producer-director it’s easy, just start writing cartoons! 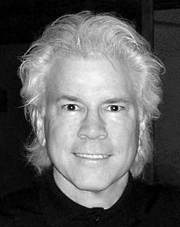 Emmy and Humanitas-winning screenwriter, Jeffrey Scott, has written hundreds of classic animated and live-action TV and film scripts including Spider-Man, Dungeons & Dragons, MASK, DuckTales, Muppet Babies and Teenage Mutant Ninja Turtles. He’s written and produced film and television projects alongside the likes of Jim Henson, Sherry Lansing, Jeffrey Katzenberg, Stan Lee, Arnold Schwarzenegger, Stevie Wonder and others, and is author of the acclaimed book, How to Write for Animation. For more insightful blog posts by Jeffrey or information on his writing, producing and consulting services, check out his own website at www.animationwriter.com.